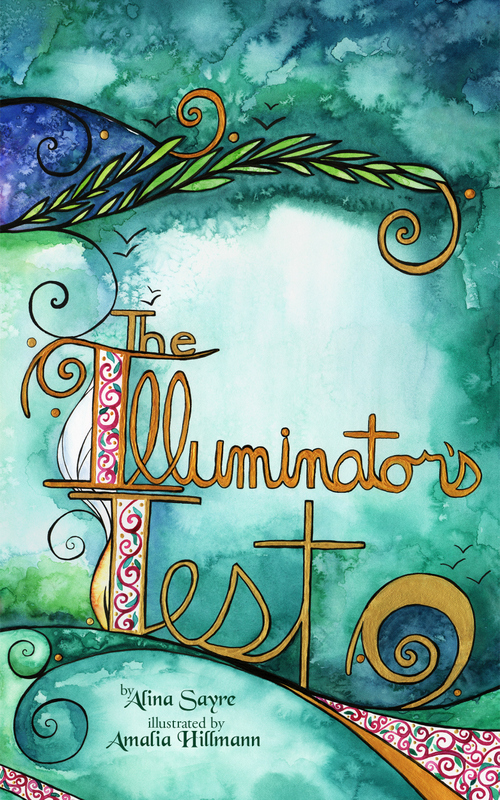 My good friend Alina Sayre just released her second novel this month, The Illuminator’s Test. As part of her release blog tour, she’s stopping by for an interview. So please welcome her! Thanks so much for hosting me, Angela! My pleasure! Let’s start off with talking about writing. What is your ideal writing space? I’m kind of a nomadic writer. I feel like if I work in one place for too long, I use up the inspiration of that space. But I find I do a lot of my first-draft writing in comfortable places—bed, couch, backyard—and a lot of my editing at the desk in my office. When deep focus isn’t too important, I really enjoy working at coffee shops and enjoying the people-watching, the productive energy, and of course, the coffee. Change of scenery can definitely be inspiring. How about a change of genre? Would you ever consider writing something different? Absolutely! While my two current books are middle-grade fantasy, I read a wide variety of genres, both fiction and nonfiction, from fantasy to historical fiction to fairy tales to poetry to theology to biography to psychology. I’d rather follow the range of my ideas than get pegged into one genre. In fact, I’m percolating ideas for a nonfiction book, a book of poetry, and several historical fiction projects as we speak. Wow, busy, busy! So with all these projects simmering, are you a plotter or pantser? Hehe, this is the evolving question. For my first book, The Illuminator’s Gift, I was a wholehearted pantser. I had no idea where it was going, and the book was a joyful journey of exploration, but it also took me five years and four complete reworks to write. Then I took a Jami Gold workshop on using “Save the Cat” beat sheets, and it helped me see that I could create a basic outline of my major plot points without taking away all the fun and suspense of pantsing. So I tried out a very skeletal beat sheet for my second novel, The Illuminator’s Test. Things didn’t always go as planned and plenty of surprises still popped up! (My characters have a stubborn habit of insisting on their own way.) But I was able to complete the first two drafts of the book within five months. While I may never be an exhaustive plotter, I do think a little plotting has helped me waste less time on plot holes and spend more time enjoying the characters’ personalities and the twists and turns of their journey. I’m glad the partial plotting worked out so well! I’m a big proponent of it, especially because I firmly believe plotting and surprise twists aren’t mutually exclusive. What was your favorite part of writing this book? I really enjoyed the day when I realized I had fallen in love with a character named Kai. He’s thirteen-year-old Ellie’s bodyguard, and he wasn’t even supposed to be in this story. He’s gruff and tough on the outside, but a total softie on the inside. Somehow he elbowed his way into the book, and I absolutely fell for him. I also had a lot of fun creating the island cultures that appear in this book—especially the part where I got to sit at Starbucks across from a mood board full of pictures and attract weird looks. I love it when stuff like that happens! Now what was your least favorite part of writing this book? Remember what I said about writing two drafts in five months? Yeah, not the best idea ever. I set out to publish Book 2 by the end of this year, and I’m pleased to say I succeeded. But not a lot of sleeping, socializing, or generally healthy activities took place in the meanwhile. I plan to take my next book a little slower and spend more time enjoying the journey. Well, congrats on meeting your goal. That’s a huge accomplishment. So can we get a little peek of this book? That night, Ellie found a beautiful blue velvet dress on her bed. It had a long skirt, lace at the elbows, and sparkling white gems swirling from the bodice to the left shoulder and sleeve. Ellie gasped and reached for it, but Kai held her back. He scraped the blade of one of his daggers across the gems, then checked the stitching on the inside. Finally, he swabbed the fabric with one finger and licked it. After a moment, he waved her forward. Ellie grabbed the dress and held it to her, spinning around and watching the skirt twirl. She hadn’t owned such a beautiful piece of clothing since the coat Nevin Beswick had given her when she was four. Suddenly she paused. Slowly Ellie draped the blue velvet over the back of the sofa, wiping her palms on her skirt. The dress was still beautiful, but now it seemed terrifying as well. Ooh, both delightfully charming and suspenseful! We all have favorite books, ones we nag our friends to read, buy our loved ones as gifts, and the biggie, the books we read over and over again. What books have you read more than twice? I love reading, but I don’t often return to the same books, as there are too many new ones I want to discover. But a few oft-read favorites include The Lord of the Rings trilogy by J.R.R. Tolkien, Ella Enchanted by Gail Carson Levine, The Chronicles of Narnia by C.S. Lewis, Anne of Green Gables by L.M. Montgomery, a couple of the Redwall books by Brian Jacques, Purity of Heart is to Will One Thing by Soren Kierkegaard, The Giver by Lois Lowry, Stargirl by Jerry Spinelli, and The Phantom Tollbooth by Norton Juster. Do I like kidlit? Yes I do. What is the geekiest thing about you? I am a very, very geeky person, especially when it comes to words and books (don’t even get me started on etymology!). But in high school I spent my spare time learning to sew cloaks and speak Tolkien’s Elvish—both the Quenya and Sindarin dialects. Geeky enough for you? Hey, we love geeky on this blog. *g* Is writing your only job? Definitely not! I am pleased that writing is a part of my career that pulls its own weight. But, like many artists, I wear a lot of hats. 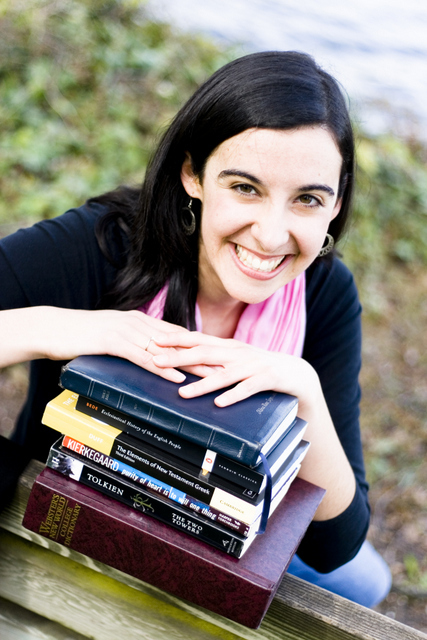 Depending on the day, I also work as a private writing tutor, a freelance editor, and a speaker. I’m also a graduate student, just to keep things interesting. Definitely sounds interesting! If you could have lunch with anyone, living or dead, who would it be and why? I would give a lot to sit in on a meeting of the famous Inklings, including Tolkien and Lewis, two of my literary idols. I love both of their theological imaginations and the way their work blends the concerns of real life with fantastical storytelling. I also love the camaraderie the Inklings had together. Excellent choice! Well thank you so much for hanging out with us today. You guys can pick up your illustrated copy of The Illuminator’s Test on Amazon. Alina Sayre began her literary career chewing on board books and is now the author of The Voyages of the Legend, an award-winning fantasy series for readers ages 9-14. Book 1, The Illuminator’s Gift, was a silver medalist in the 2014 Moonbeam Children’s Book Awards and has appeared at a number of schools and literacy events. 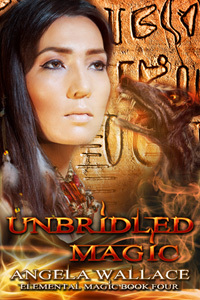 On December 1 it was joined by Book 2, The Illuminator’s Test, now available on Amazon.com and at select bookstores! When she’s not writing, Alina enjoys photography, collecting crazy socks, and reading under blankets. When she grows up, she would like to live in a castle with a large library. I hope you enjoyed your visit and come back for more! You can subscribe using RSS, Twitter, Google+, or Facebook. And to ensure you don’t miss any new releases, sign up for the newsletter! 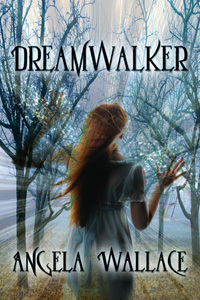 This entry was posted in Book Stuff, Sneak peeks, Writers and Writing and tagged Alina Sayre, Angela Wallace, Christian fantasy, Middle Grade books, new books to read, The Illuminator's Test. Don’t want to miss any new releases? Don't want to miss any new blog posts? Sign me up for email subscription! Angelawallace.wordpress.com contains intellectual property owned by Angela Wallace, Author, including trademarks, trade dress, copyrights, proprietary information and other intellectual property. You may not modify, publish, transmit, participate in the transfer or sale of, create derivative works from, distribute, display, reproduce or perform, or in any way exploit in any format whatsoever any of the angelawallace.wordpress.com content, in whole or in part without our prior written consent.